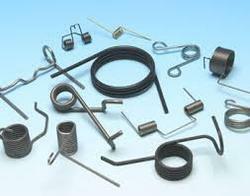 Our range of products include double torsion spring, precise torsion spring, torsion spring and torsion extension springs. Offered in the market at the most reasonable rate possible, the range of Double Torsion Spring made available by us in the market is widely acclaimed and asked for. Manufacturing of this range is done using the finest raw materials and modern machines, for reasons of maintaining its sturdiness, durability, dimensional accuracy and resistance to corrosion. Manufactured in compliance with the set industry norms and guidelines, quality of this Precise Torsion Spring never deteriorates. Its reasonable pricing, makes it highly praised and preferred. In addition to this, the product is widely known for its superior sturdiness, durability, resistance to corrosion and dimensional accuracy. 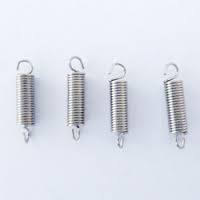 We are considered in the market to be one of the leading manufacturers and suppliers of this commendable range of Torsion Spring. Making of this range is done in accordance with the set industry norms and guidelines, utilizing the finest raw materials and modern machinery. This ensures the product’s standard of quality, finishing, sturdiness and durability. We manufacture and supply a range of tension springs and Torsion Extension Springs that are used for creating resistance against linear tensioning forces or pulling forces. 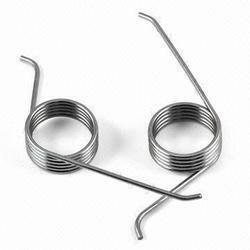 These Tension springs and Extension Springs are available in various forms of attachment on both the ends such as closed eyes and open hooks. 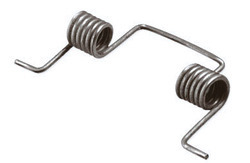 Looking for Torsion Spring ?